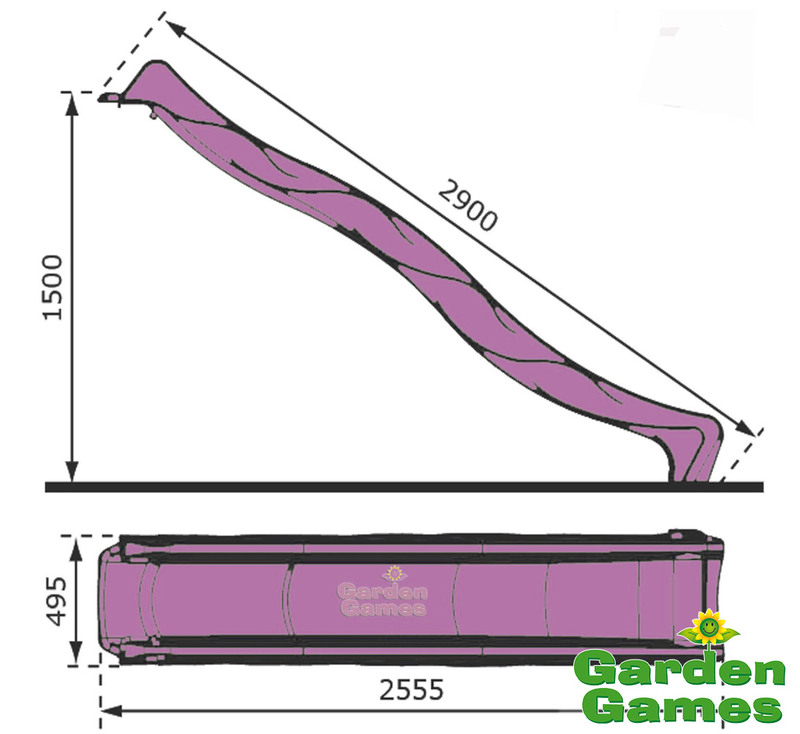 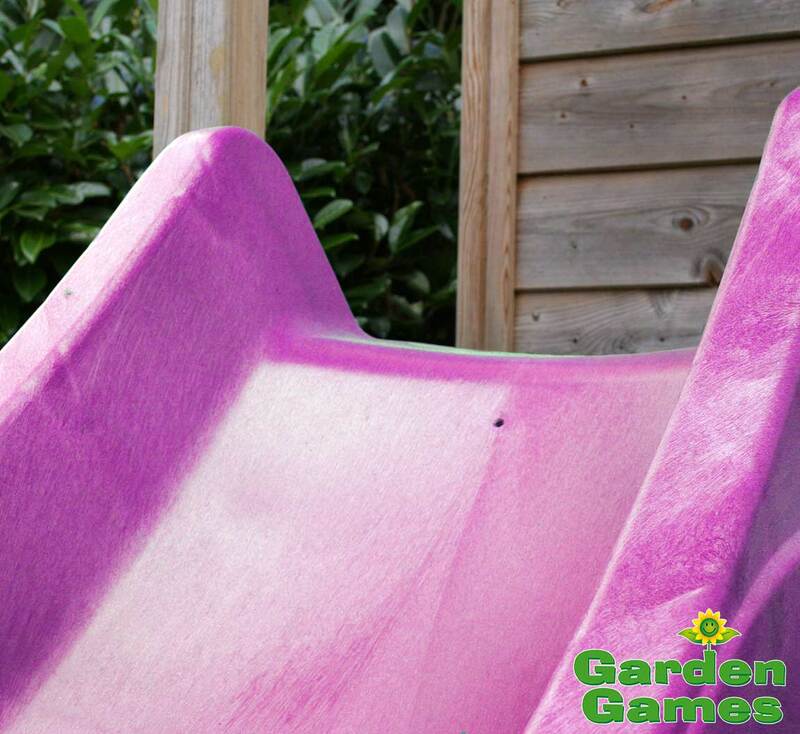 This 3m Pink Wavy Garden Slide can add an exciting and colourful touch to any climbing frame, swing set or play equipment - giving your little prince or princess the fantasy style climbing frame or tree house they are looking for. 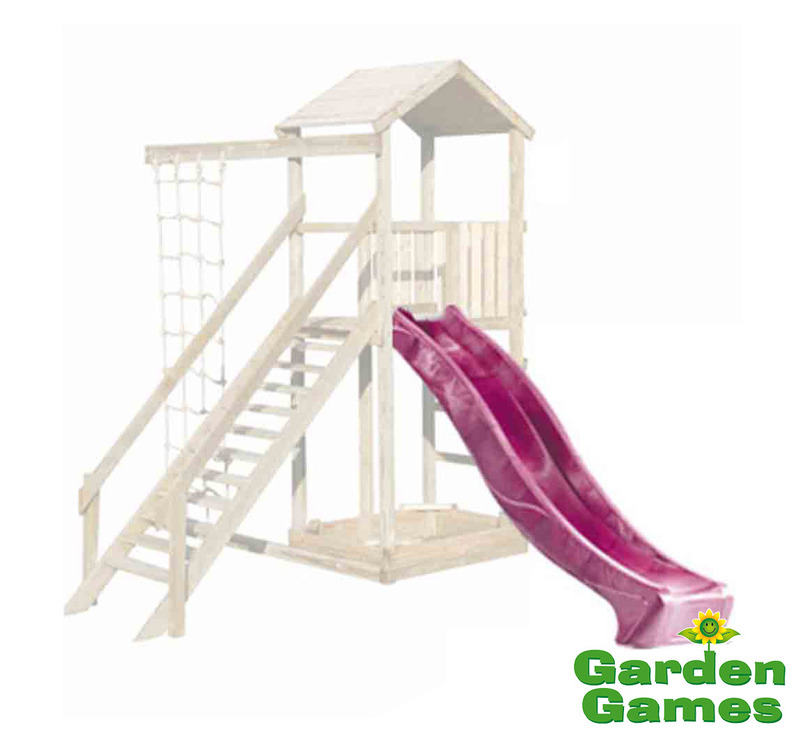 The slide is the extremely popular wave design which gives your child a slightly 'bumpy' effect as they slide down it. 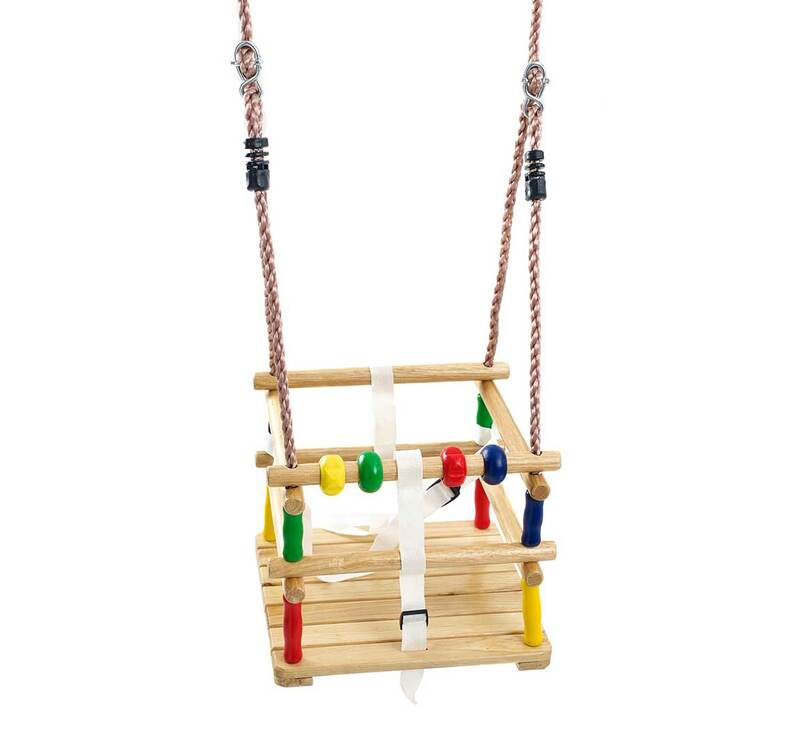 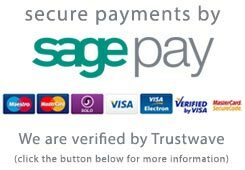 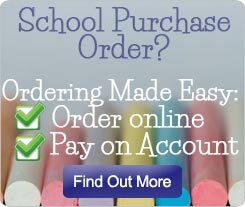 It will make your children want to have a go again and again. 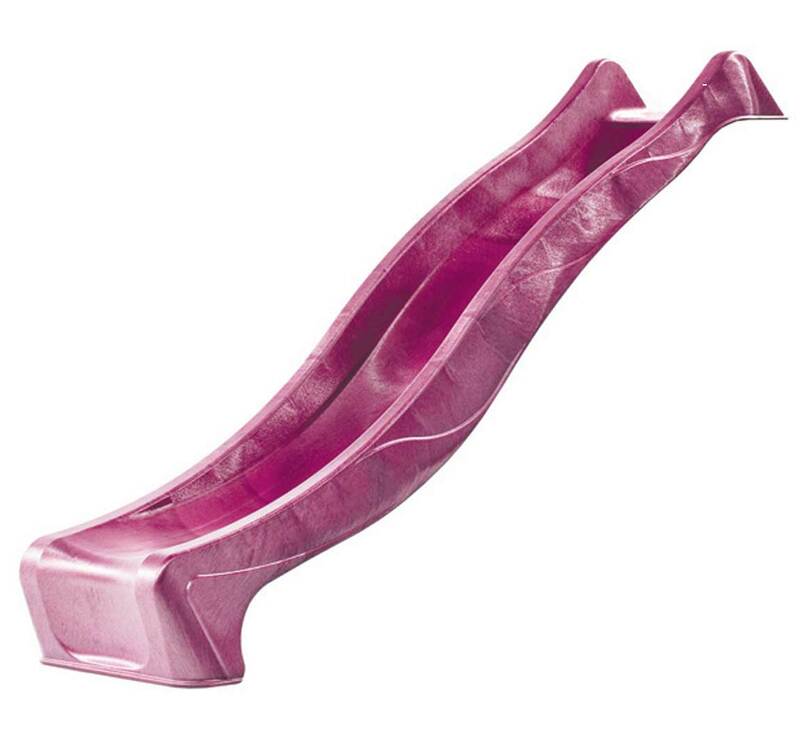 Your children will never tire of the pink wavy slide - at 3 metres long you can add it to most climbing frames, and with extra thick, strong moulded plastic you can be confident that it will last the test of time (and children's consistent use!) 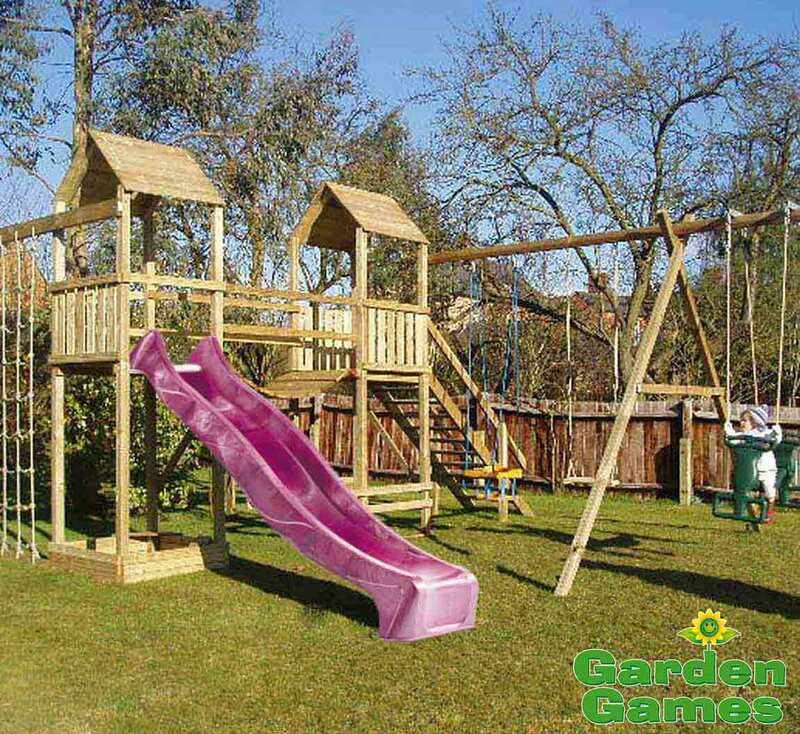 The high density plastic is made in a such a way so the colour will not fade in the sun, it is easy to clean so will continue to look new and attractive for years to come. 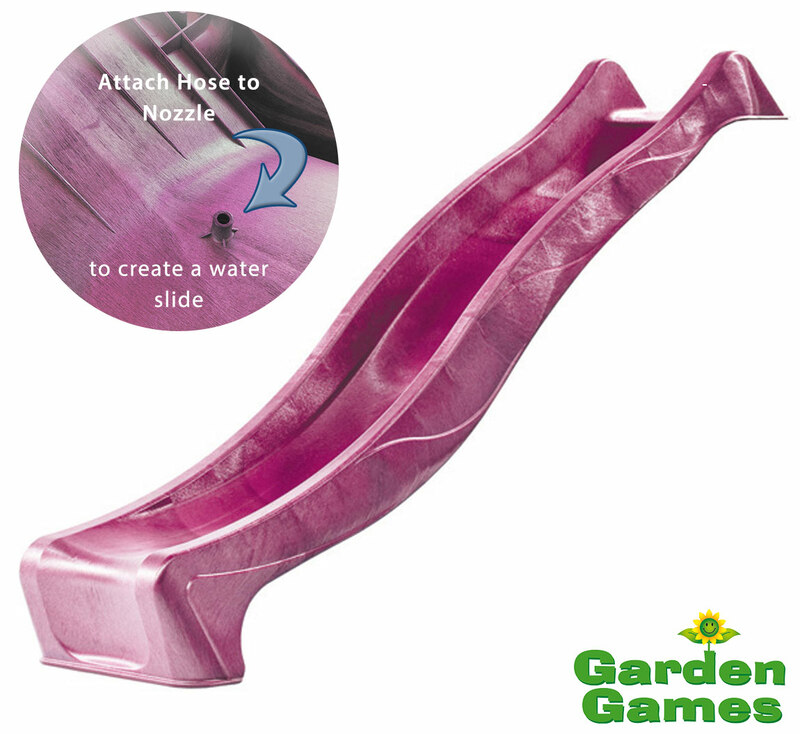 The slide even includes a small plastic spout on the underside which you can attach a hose to, creating a water slide for the hot summer months.